Of note there are two articles I'm providing links to because they are fantastic and much more thorough than I can be in explanations. 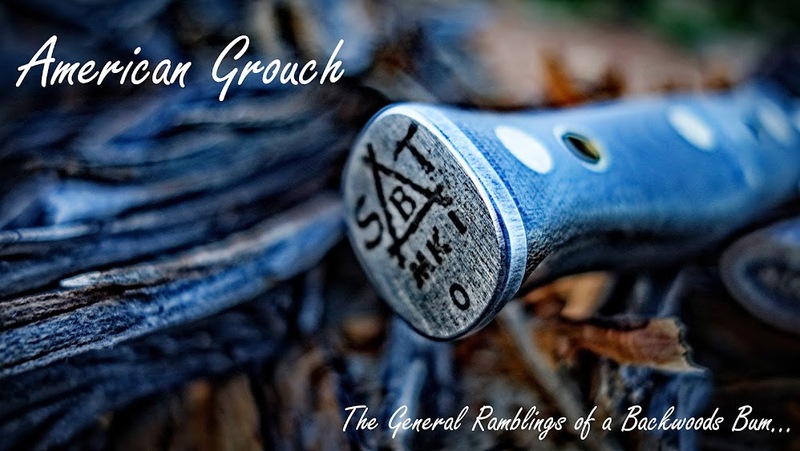 Matt Cashell's What We Are Looking For and What We Are Not Looking For, both are excellent pieces on optics for the outdoorsman and well worth the time to read. 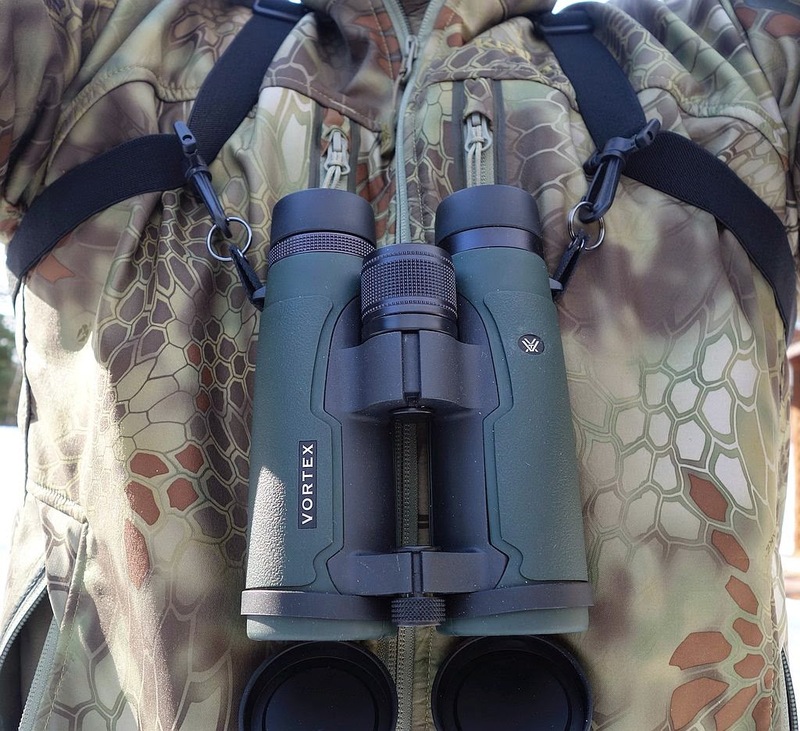 I started my search to replace the Leupold binoculars I'd been using for nearly a decade by first deciding on the power of glass I wanted, and how much I was willing to spend. I set my budget at $1200. For the longest time I'd been using 10x42s, it's a popular spec and has a lot going for it. However, after comparing 10xs with 8xs I came to the conclusion that 8 was sufficient enough power for me and that I was more interested in seeing in diminished light than I was with magnification which inversely is a 'dimmer view' at the same time of day vs 8 power glass if the same make. So 8x42s were what I wanted. The next phase was determining who among the primary makers had the spec set and warranty I wanted. As far as spec set goes I have fairly specific criteria. Too small and not enough light gets to your pupil which means that during prime time you're not going to be able to see what you want to see. A relatively large exit pupil translates to more useable light provided the glass is of quality and appropriately coated. To determine the exit pupil you divide the objective by the power. 10x42 would be 42/10=4.2mm where as 8x42 would be 42/8=5.25mm, 8x42 thus having an exit pupil 1 full mm larger than the 10x42. The average human pupil can constrict down to as small as 2mm and expand to as large as 7mm in full darkness. For optimal viewing you want the exit pupil in the glass to be mirror the eye's exit pupil, the average of which during dawn and dusk is around 5mm depending on available light. Thus the exit pupil of 5.25 on the 8x42 power is near optimal for hunting during prime time and more than sufficient during midday. Larger exit pupil ratings also translate to steadier views, the narrower the harder it is to maintain steady viewing. Vortex Talon 8x42 advertised exit pupil 5.3mm. FOV is arguably the second most important spec (to me anyway), if not tied with exit pupil size. Small FOV numbers translates to less ground viewed at distance, means you're moving more as you scan to cover the ground, easier to miss detail, more eye fatigue over time, in short if it isn't viewable in the glass it doesn't matter what your power or clarity or brightness or contrast or resolution was. Having a wide FOV translates to more ground viewed which means more animals spotted. Vortex Talon 8X42HD FOV @1000yds is a whopping 425'. Contrast is the ability to discern differentiation between colors. It helps hunters to see game that often blend in with their surroundings. Resolution, higher resolution, allows the user to see fine and superfine detail, seeing individual pine needles for example, at distance is an example of resolution. Color Transmission is how much light at specific wave lengths that make it through the optic to the eye of the user. Some glass is better than others in this regard, some glass might have muted tones due to the quality of the glass which would translate to seeing less detail by the user. All specs that are important and hard for some one like me to put a measurement on. I know good when I see it, all three are in my opinion exceptional with the Talons. I'd put them on par with top end European glass and I've held and looked through several examples. The only way to determine these qualities is for you to put hands on the specimens and compare them yourself. While lab equipment can measure certain things not all eyes are the same, you need to look through glass to get a feel for it, to determine if it is the best for you. When buying glass always research the warranty. 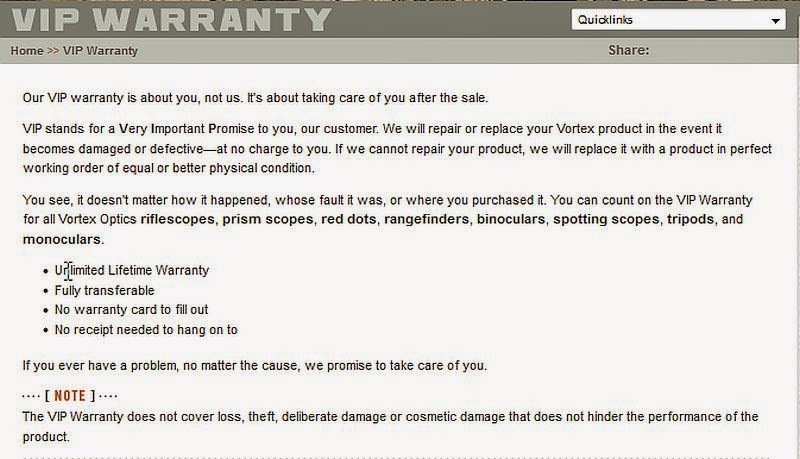 Vortex has the best warranty available as far as I am concerned. Return a pair and they replace/repair, for life. This includes second owners, the product has the warranty not the purchaser so if you bought a set second hand you're covered. 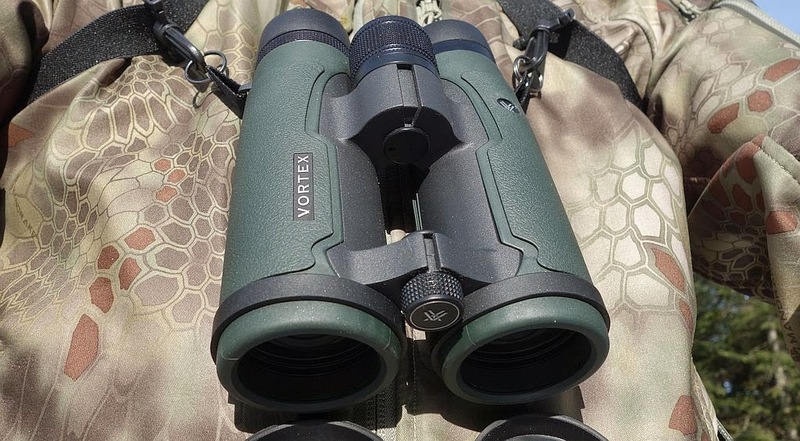 Across all of the binoculars I checked out over the year of looking, and with a budget of $1200 I still ended at Vortex's Talon 8x42s. Between the exit pupil size, incredible field of view, exceptional contrast and color transmission I just couldn't justify spending more for what I thought to be very marginal improvements over the Talons. HD Lens Elements - HD (High Density) extra-low dispersion glass delivers impressive resolution and color fidelity, resulting in High Definition images. XR Lens Coatings - Vortex proprietary XR anti-reflective coatings, fully multi-coated on all air-to-glass lens surfaces, increase light transmission for maximum brightness. Phase Correction - Used on roof prism models only—coating enhances resolution and contrast. Roof Prisms - Valued for greater durability and a more compact size. Waterproof - Optics are sealed with O-rings to prevent moisture, dust, and debris from getting inside the binocular. Fogproof - Argon gas purging guarantees superior fogproof and waterproof performance. Rubber Armor - Provides a secure, non-slip grip, and durable external protection. ArmorTek - Ultra-hard, scratch-resistant coating protects exterior lenses from scratches, oil and dirt. Twist Eyecups - Twist up and down to precise, intermediate settings to maximize custom fit for comfortable viewing with or without eyeglasses. Right Eye Diopter - Adjusts for differences in a user's eyes. Located on the right eyepiece. Tripod Adaptable - Compatible with a tripod adapter, allowing use on a tripod or car window mount. Being tripod adaptable was a huge plus, mounting these to my tripod is straightforward and results in comfortable viewing for long periods of time. 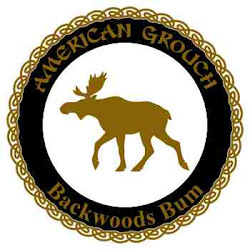 While my primary use for this is western hunting and Alaska I also found it useful while blind hunting. 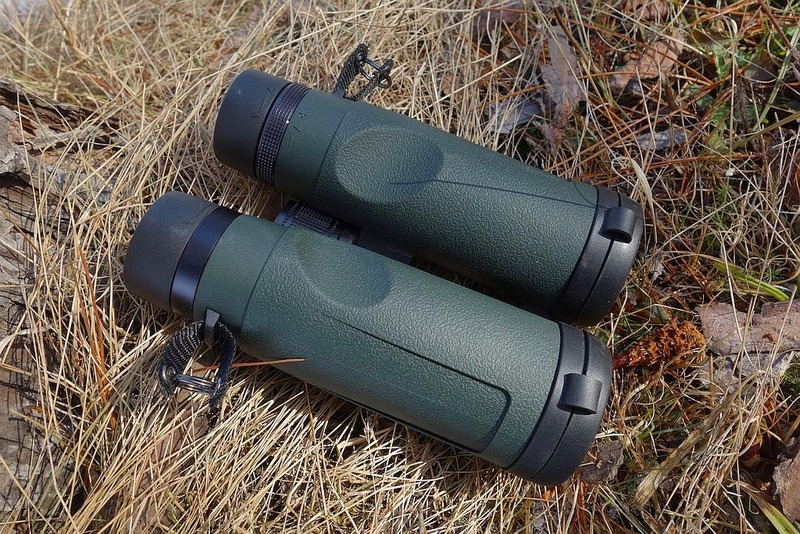 The only drawback for me is the weight but it is tolerable for the quality of glass, and durability, of these binoculars. I'm used to carrying 32 ounces in glass so while these are tilting heavy at 27 ounces they are still lighter than what I had been using. The Swarovski, Leica, Zeiss and higher rated Vortex optics I checked out within my price range, all had slightly better specs and some were slightly better in quality, they were indeed 'better'. However, none of them were that much better in my opinion, to justify their relative increases in cost. Perhaps if I did much more open country hunting, or had a job that required weeks and months behind glass to earn a living, then they would be justified but for me the Talons suited my needs in spades at a great price point. 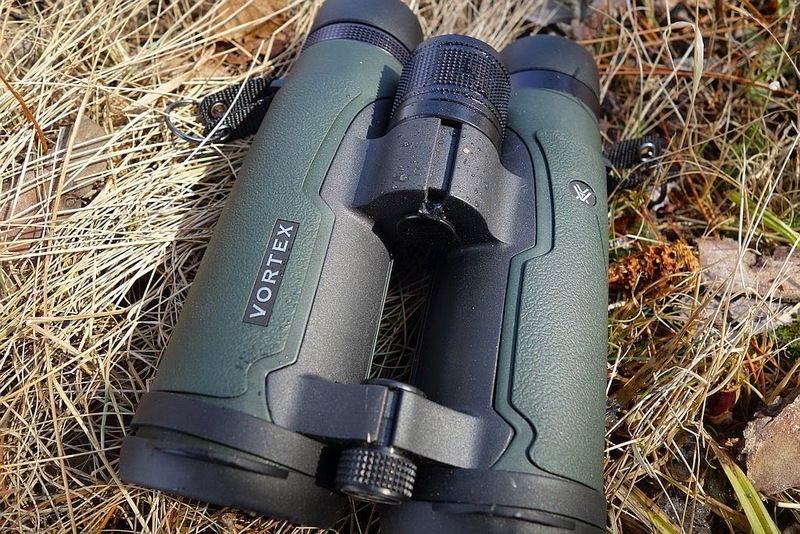 Check Amazon for Vortex Talon 8x42HD. I've had the exact same binos for the last several years, and I'm really impressed with them. Short of selling out a few thousand dollars, I think Vortex is making the best offerings in the industry right now. Great review AG, and nice job explaining the things to pay attention to when evaluating a good pair of optics. Agreed on all points, happy to hear I'm not the only one who sees the value and quality of this glass! Also had the same bino's for a couple years now. I love 'em. Weight was and still is my biggest fault with them, but the durability is amazing. Good to hear Adam, happy to know I was on track with the purchase!